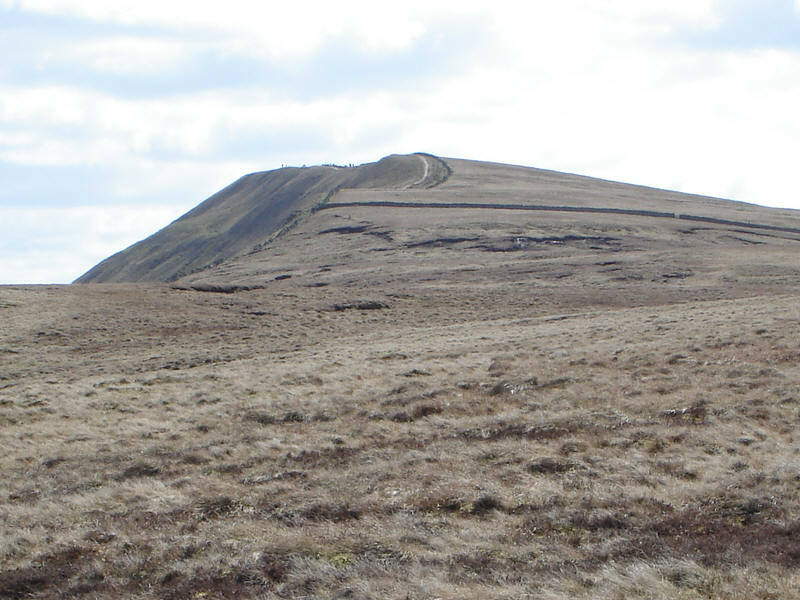 A view of the summit of Whernside from the north. The path from this direction runs towards the corner of the two walls seen in the middle of the picture. The popular path to summit is clearly visible just below the summit, as are the crowds on top.